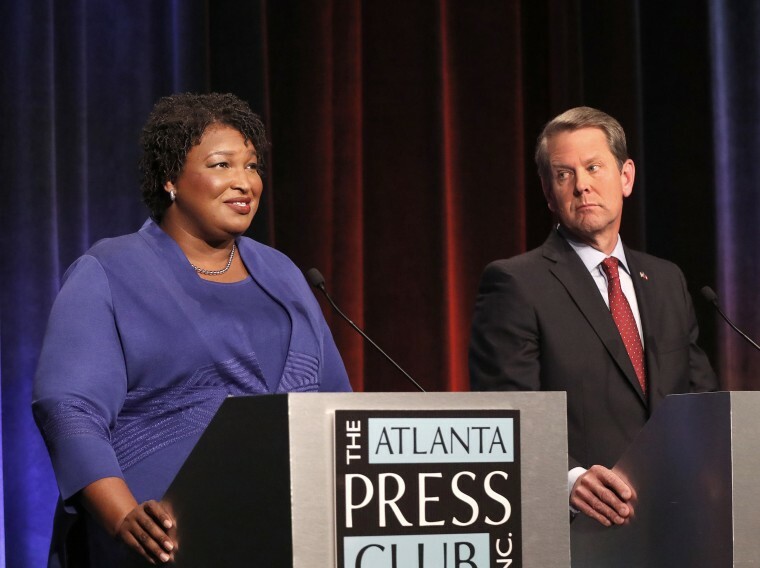 Brian Kemp, a Republican who oversees elections in the state, and Democrat Stacey Abrams have sparred over allegations of voter suppression. ATLANTA — Georgia election officials must stop rejecting absentee ballots and applications because of a mismatched signature without first giving voters a chance to fix the problem, a federal judge said Wednesday in a ruling that could impact the race for governor where voting rights has become a major issue. U.S. District Judge Leigh May ordered the secretary of state's office to instruct county election officials to stop the practice for the November midterm elections. She outlined a procedure to allow voters to resolve alleged signature discrepancies. May's order comes in response to two lawsuits filed earlier this month allege that election officials are improperly rejecting absentee ballots. The lawsuits said the rejections without first letting voters challenge the determination violated voters' constitutional rights. May gave the parties until noon Thursday to comment on whether the language in her order is "confusing or will be unworkable" for election officials. One lawsuit was filed by the American Civil Liberties Union and its Georgia chapter on behalf of the Georgia Muslim Voter Project and Asian-Americans Advancing Justice-Atlanta. The other was filed by the Georgia Coalition for the People's Agenda and five individual voters, including two candidates for office. Both lawsuits challenge the rejection of absentee ballots and absentee ballot applications without allowing voters an opportunity to dispute a finding of a mismatched signature. The lawsuit filed on behalf of the Georgia Coalition for the People's Agenda and individual voters also challenges the rejection of absentee ballots because of what it calls technical errors, like writing the current year in a space designated for the voter's birth year or signing on the wrong line. The lawyers behind both lawsuits had filed emergency requests asking May to make certain immediate changes while the litigation is pending, though they sought different remedies. Both sets of lawyers applauded the judge's ruling. May wrote in her order that she was only addressing the signature mismatch issue. She had said during a hearing Tuesday that she was especially concerned about people whose signature doesn't match and who may not be able to vote in person if their absentee ballot is rejected, noting that submitting another absentee ballot or application may not fix the problem if the signature still doesn't match.